After the birth of Jesus in Bethlehem, Luke records that an announcement of His birth was made to shepherds in the field at night. We do not know the exact time of the birth of Jesus. We have a reasonable degree of certitude about the place of His birth, but places such as the field of the shepherds are not certain. As a result, traditions have risen about the place. 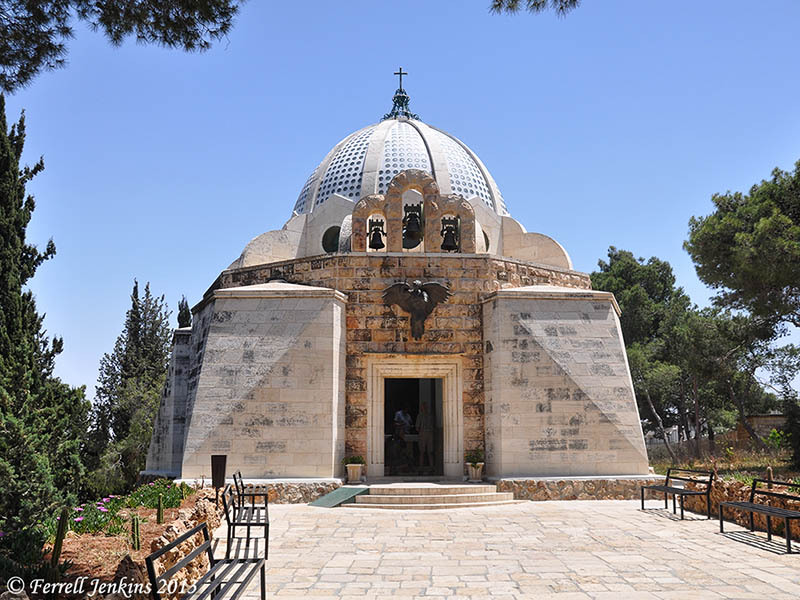 Here I will mention three places that one can visit a short distance east of Bethlehem, near the wilderness of Judea. This area is known as Beit Sahour. 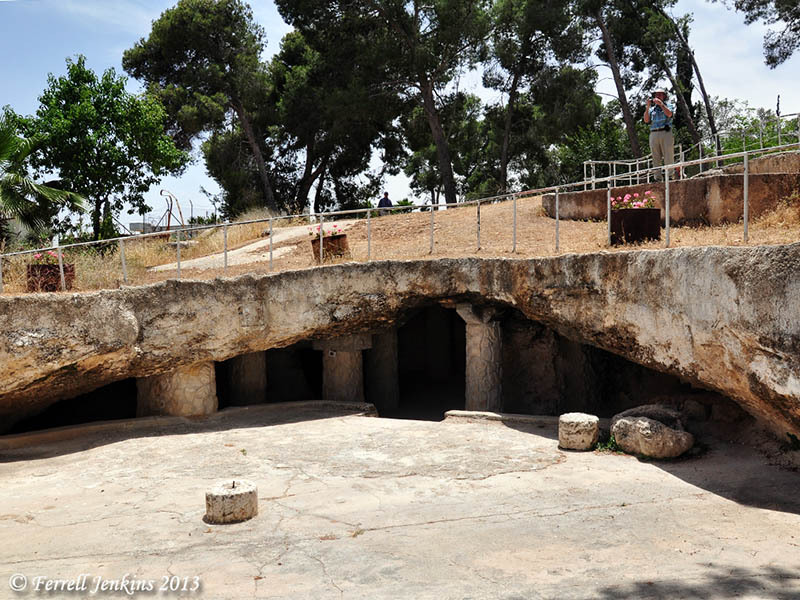 The first place is the Shepherd’s Field of the Franciscan Custody of the Holy Land (a Roman Catholic site). The photo shows the modern church built over a cave. Under the church there is a large cave. These caves are not uncommon in the central mountain range. 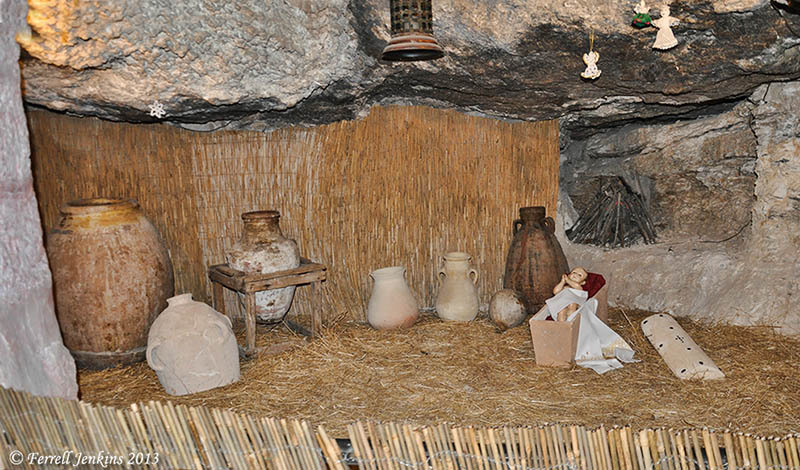 A display illustrating the birth of Jesus can be seen in the cave. One little note of interest. It is often pointed out that the manger of Luke 2:7 might be a feeding trough cut from stone. In this display the baby is placed in an ossuary! Notice the lid to the right. Display in cave at Shepherd’s Field. Photo by Ferrell Jenkins. Outside one sees fields and olive groves. Shepherd’s fields at Beit Sahour. Photo by Ferrell Jenkins. Not far away is the Shepherd’s Field of the YMCA. Some call it the Protestant Shepherd’s Field. There is a large cave on the property overlooking the fields of the region. Caves at YMCA Shepherd’s Field. Photo by Ferrell Jenkins. 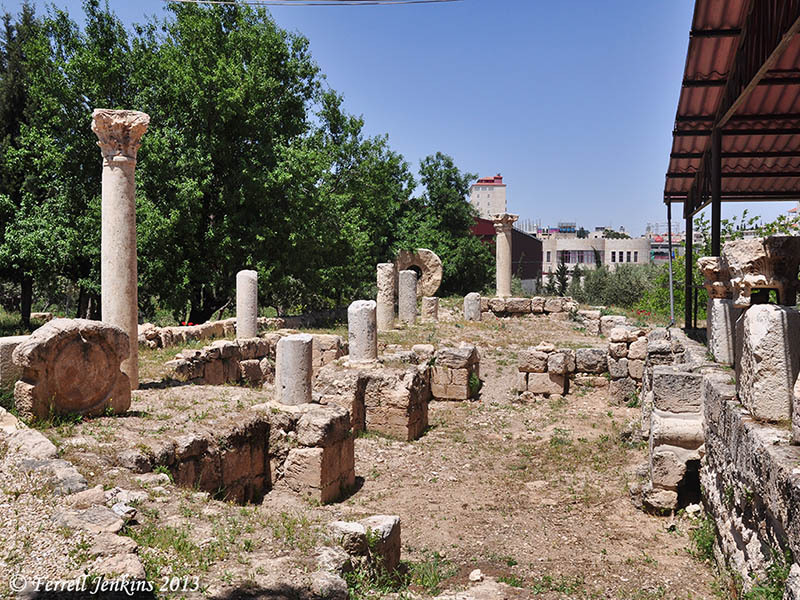 The Greek Orthodox site features ruins of a Byzantine church dating from the 5-7th centuries. Byzantine church ruins at the Greek Orthodox site. Photo by Ferrell Jenkins. Carl Rasmussen wrote about the “3 Christmases in Bethlehem” here, and Mark Ziese wrote about the Milk Grotto here. We have written about the Church of the Nativity several times, including here. 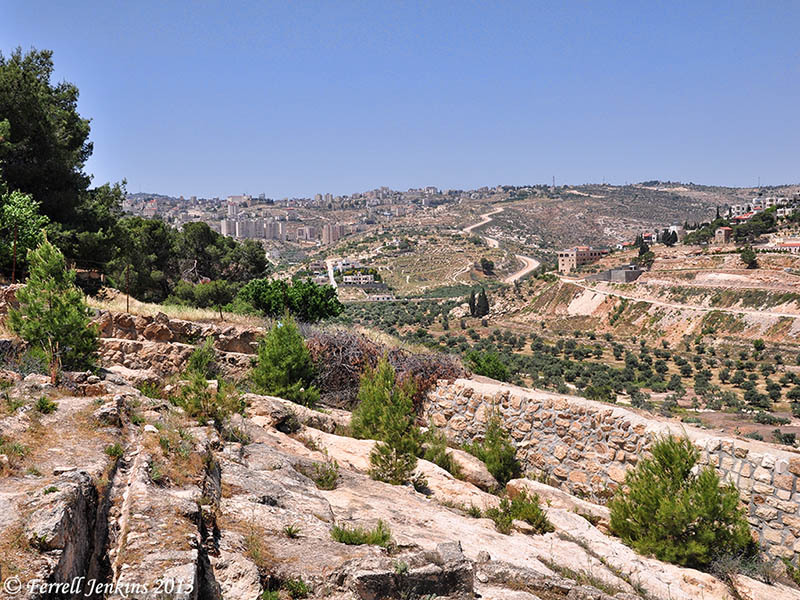 This entry was posted in Bible Places, Bible Study, Church History, Israel, New Testament, Photography, Travel and tagged Bethlehem, West Bank. Bookmark the permalink.